If there’s one thing you’ve probably learned about life in Deltona, it’s that this is a fantastic place to call home as well as a great place to establish a business. 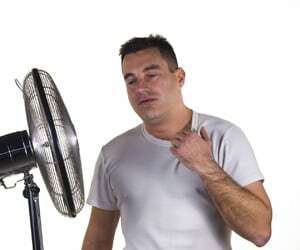 If you’ve been here through the changing seasons, you’ve also found out that summertime is customarily hot and humid. Expert Deltona air conditioning repair is as close as a few clicks or a phone call away when you call for the affordable AC repair Deltona trusts for results, provided by DC / AC Air Conditioning and Heating. The HVAC technological advances found in the latest AC systems that keep Deltona residences and businesses cool and comfortable also deliver attractive benefits like cost efficiency and exceptional energy efficiency ratings. These advances also mean that cooling is accomplished in the most eco-friendly way. Well trained technicians from DC / AC Air Conditioning and Heating are knowledgeable and consistently kept up-to-date on all the newest systems. 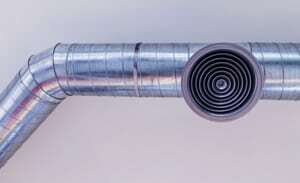 In addition, they are skilled at working on any type of existing air conditioning system. A simple phone call or a few clicks brings the free AC repair estimate Deltona trusts for accuracy and fair pricing to your doorstep. We think you’ll be impressed with the Deltona AC repair that residents and business owners have trusted for 25 years to bring their AC systems back to top-notch working order, or to replace older systems that need replacing. Whether your issue is a simple recharging of the refrigerant, a more complicated installation of a new system, replacing coils, putting in a new blower motor, or replacing the thermostat, you can trust our well-trained experts to do the job right. At DC / AC Air Conditioning and Heating, we pride ourselves on supplying reliable and trustworthy expert AC repair Deltona needs to stay cool even during the hottest months. 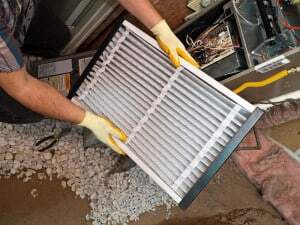 When you call for the AC service Deltona has relied on for over 25 years, you can rest assured that you’ll receive expert service for the most reasonable AC repair costs Deltona residents and businesses can find. Our ace technicians can work on any brand or model of air conditioning system. If it’s decided that you need to replace your system, you’ll receive expert advice so you can make an informed decision. When the days get longer and hotter, you know you have expert AC repair technicians close by to help you sail through those days in comfort. Residences and businesses know they can trust DC / AC Air and Heat for exceptional service at fair prices. When you know that you’ll receive professional AC repair in Deltona Florida at the touch of a button or with a simple phone call, it brings peace of mind that your home or place of business will stay cool and comfortable year-round. DC / AC Air and Heat has received an A+ rating with the Better Business Bureau for its dedication to excellence in providing expert service and AC repair Deltona can rely on. It gets hot and humid in Central Florida. Luckily, you have exceptional, eco-friendly, cost-efficient and energy saving AC repair to get you through the hottest days with ease. We’re confident you’ll be satisfied with our attention to detail and the top-notch AC repair Deltona has come to depend on. We’re there for you, your family and for everyone who comes to your business, keeping your indoor environment as comfortable and cool as it can be. We keep a focus on the admirable goal of 100 percent customer satisfaction every time. Our biggest compliment is from satisfied customers who have left excellent feedback for us, or who recommend DC / AC Air Conditioning and Heating to others. 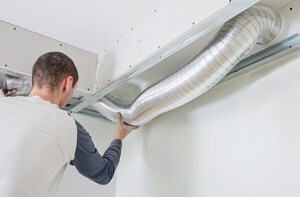 Trusted HVAC service is provided on time, and is above standard. Our technicians are known for being friendly, helpful and personable. We’ve carefully selected them from the best in the HVAC field. Your total satisfaction is our number one goal, every time. We know that when you’re satisfied with our service, you’ll call us again whenever you need the premiere AC service Deltona relies on.